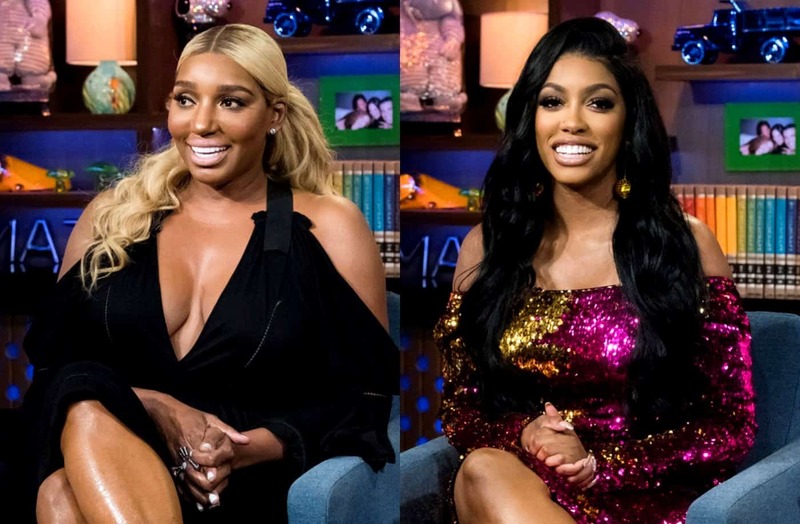 NeNe Leakes called out Porsha Williams on Instagram last night amid the new episode of The Real Housewives of Atlanta. During Sunday night’s episode of RHOA, Kandi Burruss told NeNe and a few of their co-stars some unpleasant things about Porsha’s current fiance Dennis McKinley. Later, Kandi discovered that someone had gone back and told Porsha what she had said to the women. However, all of the women denied telling Porsha, especially NeNe. “When you a ride or die chick!!!! Hey lil sis, I got your back! Lil sis: Yeah ok! Then throws big sis under the bus! What the F**K?” NeNe wrote with a photo of herself and Porsha. 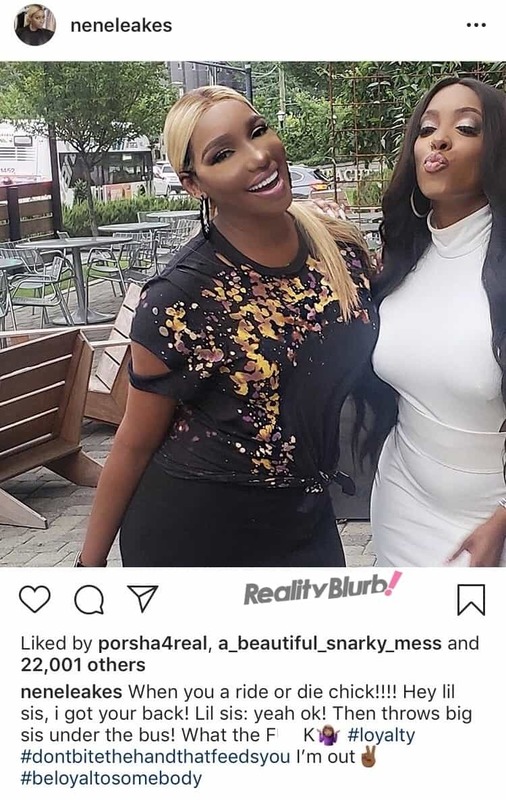 After NeNe’s post was shared, Porsha responded under the post. 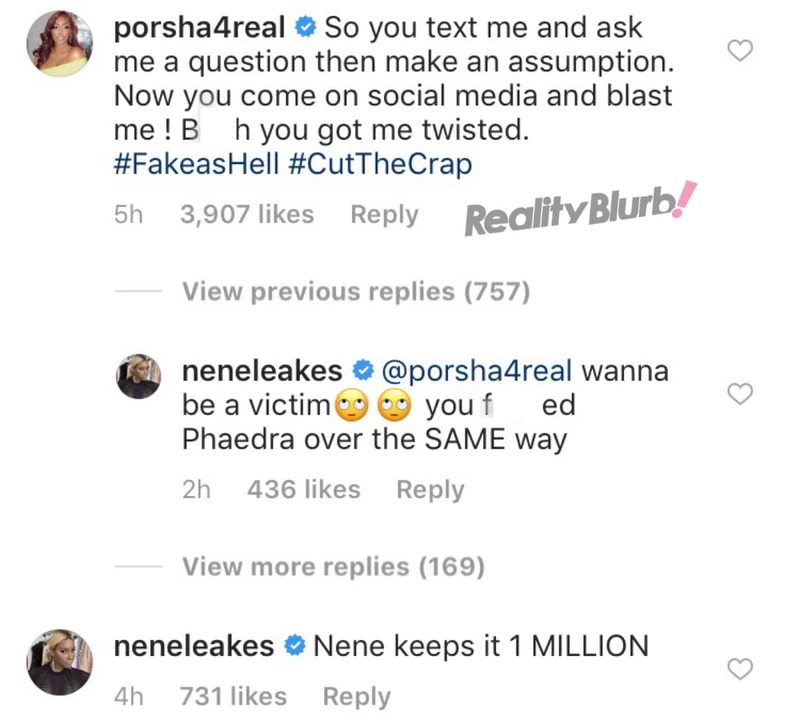 But NeNe wasn’t done and fired right back at her co-star for acting like a “victim” and mentioned her feud with their former co-star, Phaedra Parks. “NeNe keeps it 1 MILLION,” NeNe added. 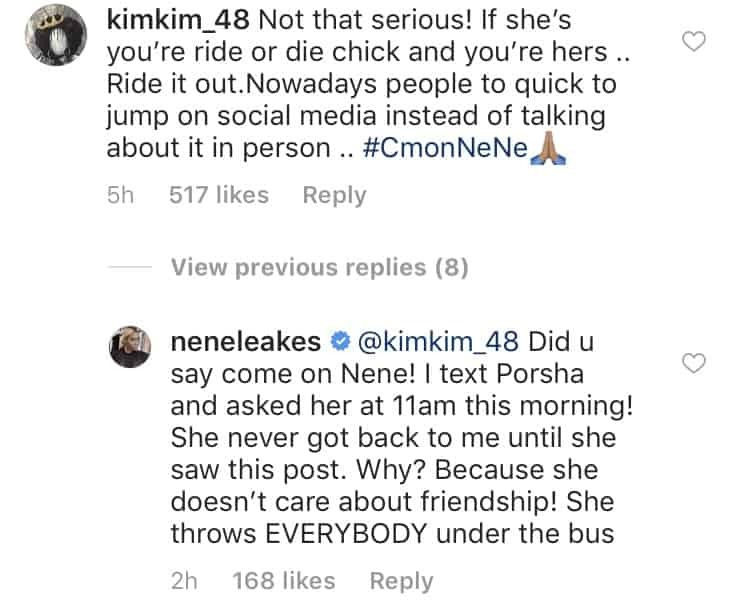 NeNe also responded to one fan who said NeNe should have chosen to handle her dispute with Porsha privately, rather than call her co-star out publicly.